Volleyball No Face Bobblehead Trophies measure 5.5" tall. These volleyball awards are perfect for males or females. 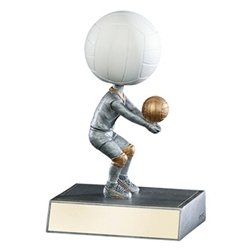 Volleyball bobblehead trophies are a unique and fun way to recognize someone special.